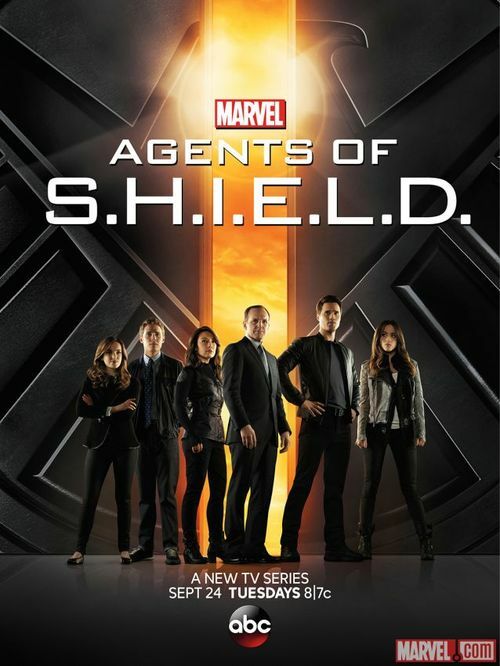 As much as I’m digging the comic book vibe, Agents of S.H.I.E.L.D. mustn’t forget they are a still a live action tv series. There is no way Ward kept from looking at his hands (especially while driving) or avoided all reflective surfaces for that long of a time. If you’ve read my Arrow reviews, then you know logistics fubars like this really annoy me. Thankfully, this isn’t Arrow, it is edging there, but only just. The issues I have with AOS lay in the oversimplified dialogue, i.e. restating what’s previously been said and verbally stating the themes. Thankfully, unlike Arrow, AOS hasn’t gone so far as to completely speechify everything, were way too much screen time is used to show a character droning on about whatever deep point the writers feel they need to make. Also, AOS isn’t taking itself so seriously. The problem with the ‘dark, gritty’ theme is that it leaves no real room for anything else. Everything has to be so serious and existential… which gets really old, really quick. AOS is keeping the adventure theme which offers a lot more latitude. It can be funny, it can be dramatic, it can be thoughtful, it can be insane, or it can be dark. That’s what AOS is bringing to the table, a much broader sense of the universe which doesn’t have to fit in a mold. In this episode, the action (still with awesome productive values btw), the comedy, the intrigue, and a good dose of comic book adventure, makes up for the visual fubar, relegating it to just an annoyance rather than a glaring pain. The guest character also wasn’t there as fodder, and the little touch at the end in her cell seals an emotional connection with her. The intrigue is neither bluntly tossed around nor is it insanely over-complicated. I didn’t mean for this review to become an Arrow vs AOS (DC vs Marvel) but these points needed to be made. If AOS could just fix the dialogue then this series would be near perfect. Well, I could at least forgive the logistic issues. on October 20, 2013 at 4:16 am | Reply StefQ. What’s your opinion on Skye? Do you like her as part of the team on first impression? I read that you didn’t like the storyline between Ward and Skye, did it change or do you still think they don’t have chemistry? Sorry for a lot of questions..
Skye is your typical trope of a character which is disappointing coming from Whedon because at least when he does a trope he gives them a pretty good twist to go with it. I wouldn’t be so annoyed with her if the show wasn’t pretty much all about her right now. I want to learn more about the rest of them as well but we just get bits from them while Skye is the lead character doing all the things. This episode was a bit better in that respect but it’s still the Coulson and Skye show when it should be the Coulson and Team show. As for Ward and Skye, there is no chemistry there and that makes the relationship feel forced. I haven’t seen any sparks so far so until there are sparks or something really spectacular to make up for it, they aren’t even a BrOTP, let alone an OTP.